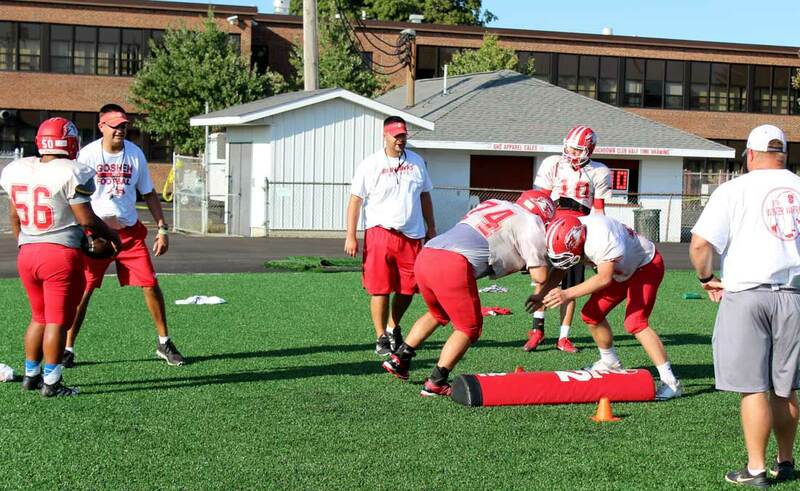 Goshen High School football has a long, proud history of working hard, producing wins, and drawing local fans. 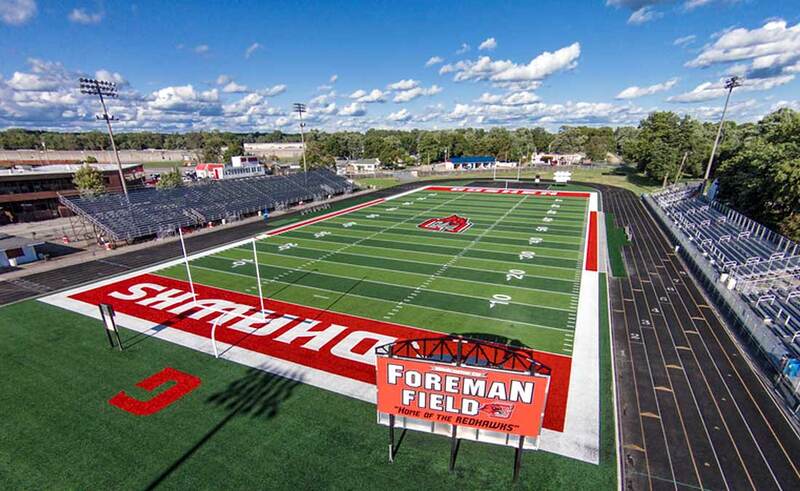 Over the years, the town has gathered at Foreman Field on many Friday nights to watch student athletes compete. 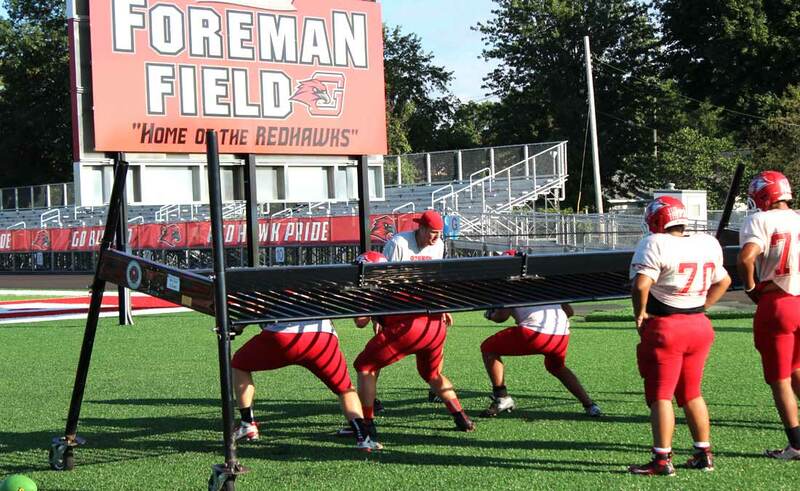 In the last 6 months, there have been physical changes to Foreman Field, but some may not know about the changes in the football program itself. Coach Kyle Park took over the GHS football program in 2014. It was a program that had lost its way over the last several years; going winless the year before his arrival. From the beginning, he acknowledged that the program could only be rebuilt, in his words, “brick by brick.” And, indeed, it was a slow start in his first year as well. However, since then GHS students have continued to wear the “Brick by Brick” t-shirts, and indications are that the rebuilding process is now underway. Coach Park spoke recently at Goshen Rotary, and shared his vision and his Four Pillars for GHS Football: Accountability: 1) Showing up: being on time, and being accountable to the coaches and team; 2) Commitment: being invested in off-season workouts, getting stronger, and preparing; 3) Relationships: Having high expectations, holding players accountable, loving kids as much as coaching them, and doing activities together as a team, and 4) Competition: People compete for everything, jobs, scholarships, grades, etc. Competition teaches the players to accept defeat and move on, to win gracefully, and to understand the importance of competing. In order to live out the expectations in Coach Park’s four pillars, the coaching staff puts in many, many hours during the season. Among the things on their to-do list: Preparing for team meetings, running practices, keeping track of athletes’ progress in the classroom, eating pre-game meals with the team, traveling with the team, monitoring injuries and/or treatment, leading the team on service projects, supervising athlete interviews for the “High School Huddle,” participating in team activities, and communicating with other coaches, players and parents. For the team and the coaches, it has been a very busy fall! And now, the 7-2 RedHawks are ready for sectionals. 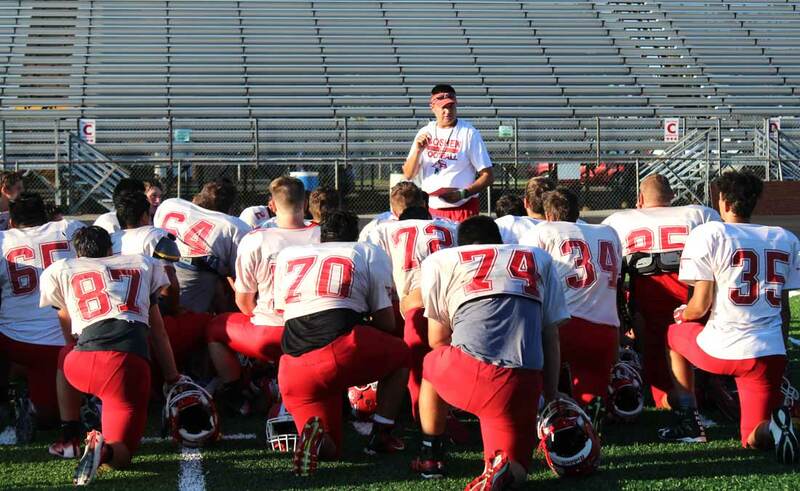 They have worked hard for months, and will go into Friday’s game with high expectations. Hopefully the RedHawks can extend their season a little longer. And while that may or may not happen, it seems clear that the dedicated football staff will continue to lead and support their students for years to come. 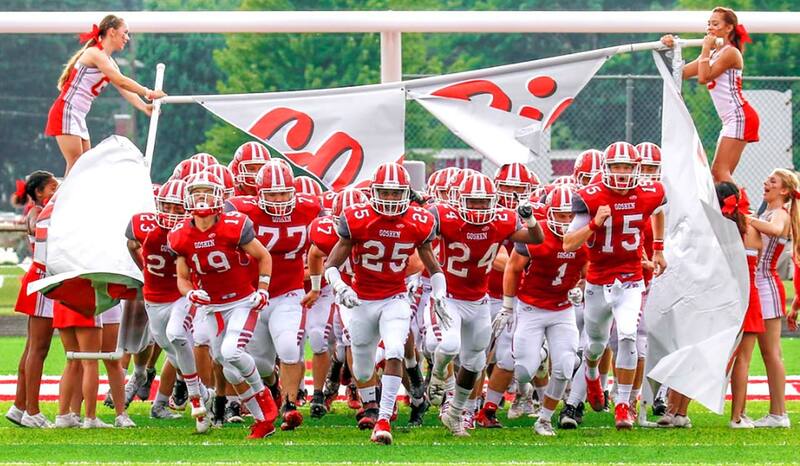 Goshen Football is a sport and a tradition, but this team is also a family. Together the members of this family, including future members, will rebuild GHS football. They are already making it happen, brick by brick. The Goshen RedHawks will be taking on the Fort Wayne North Side Legends on Friday, October 28th for the 2016 IHSAA Football Sectional. Kickoff will be at 7:30 PM at Chambers Field located on the north side of Fort Wayne North Side’s campus. Parking is located on the east side of the school.